Benjamin considers himself an authority on James Bond, having reviewed every film and many more over a number of years. The Man With The Golden Gun is an action thriller film released in 1974 and is the ninth film in the James Bond series. Based on Ian Fleming's novel of the same name, the film sees Roger Moore return for the second time as British secret agent 007 who must face off against the world's greatest assassin before he becomes his next target. It would be the last Bond film directed by Guy Hamilton (who had previously directed Goldfinger, Diamonds Are Forever and Live And Let Die) and would also be the last film developed by long-time producing partners Albert R. Broccoli and Harry Saltzman, who would sell his 50% stake in Danjaq (the company holding the copyright to Bond) after the movie's release. 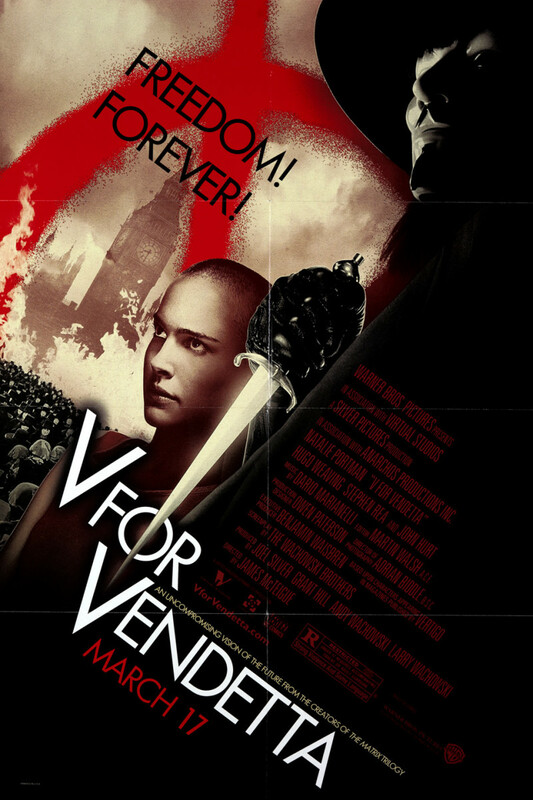 It would borrow heavily from popular martial arts movies at the time as well as inspiration from the energy crisis affecting Britain in the early Seventies. MI6 in London is sent a golden bullet with '007' etched onto it, the traditional calling card of famed international assassin Francisco Scaramanga who uses a golden gun to kill his enemies. M immediately pulls Bond off his mission to trace missing scientist Dr Gibson and allows Bond to unofficially go after Scaramanga himself. Following up a lead in Beirut, Bond is led to the Far East where Scaramanga's lover Andrea Anders is collecting a shipment of gold bullets. After a brief interrogation, Anders informs Bond too late of Scaramanga's next target - Dr Gibson, who is in possession of the secret of solar power. 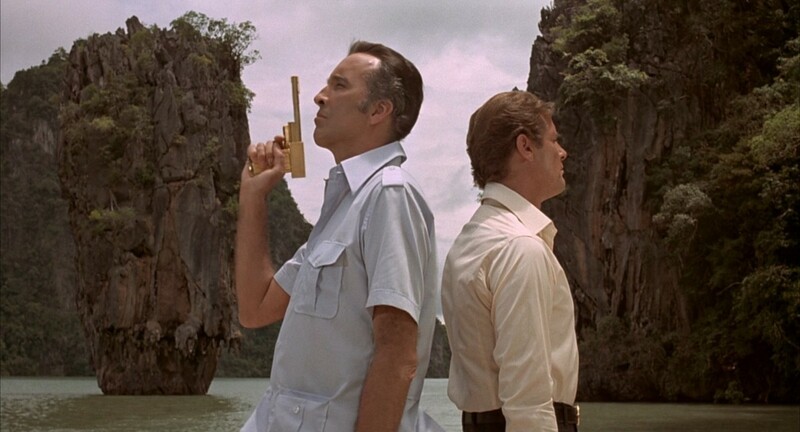 With Gibson now out of the picture and his Solex Agitator stolen by Scaramanga's personal assistant Nick Nack, Bond must now locate and take out Scaramanga and retrieve the device before the technology is sold to the highest bidder. But Scaramanga doesn't have money on his mind - in fact, he's clueless as to why 007 is sticking his nose into his affairs and is intrigued by the possibility of the ultimate stand-off between himself and Bond. Like most of Roger Moore's tenure as Bond, The Man With The Golden Gun does as much right as it does wrong. 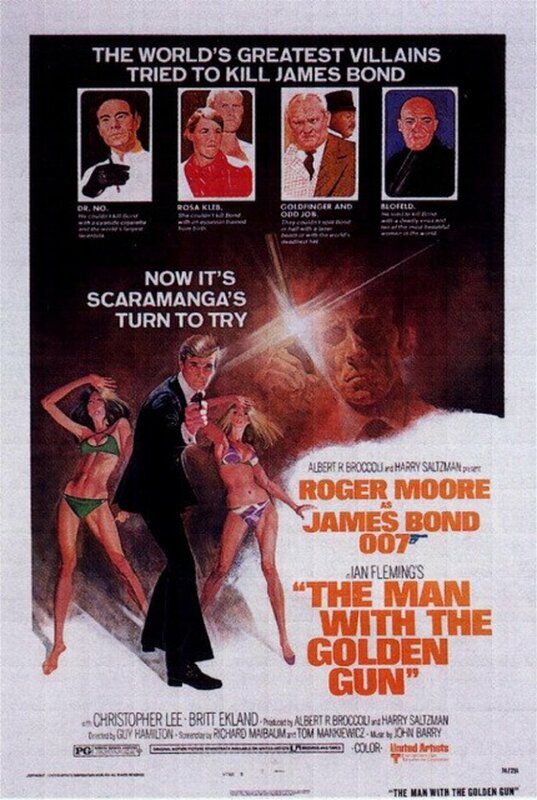 But it's impossible to start talking about the movie without first mentioning Lee's incredible performance as Scaramanga, the KGB-trained hitman who is a mirror-image of Bond and 007's first decent baddie since Goldfinger ten years and six films earlier. Suave, unflappable and utterly ruthless - everything Bond is except for one crucial difference. He kills for money, not for the security or safety of the world. Despite being in his early Fifties, Lee exemplifies Scaramanga's laid-back physicality and reminds us all why he was truly one of cinema's greatest actors. The film also indulges in some breath-taking locations and few would argue that Phang Nga Bay - the site of Scaramanga's island hideaway - isn't the most beautiful place ever seen in a Bond movie. It is truly spectacular and instantly makes you wish you could go there. The film also has some pretty enjoyable action sequences including the still-impressive corkscrew jump over the river during the obligatory car chase. The film isn't as bonkers as the series had been in the past but it is an entertaining enough mix of action movie and travelogue and for many, this is all they really want in a Bond flick. This movie's low body count of just six is the lowest in the entire Bond series, making it the least violent Bond movie in history. The legendary corkscrew jump was conceived years before filming ever started on The Man With The Golden Gun. It's widely believed to be the first such stunt ever calculated on computer. The title role was originally offered to Jack Palance who turned it down. Lee had previously been offered the part of Dr No by Ian Fleming himself, who was actually a cousin of Lee's. The film really drops the ball on a number of occasions, especially where characters are concerned. Goodnight is the most useless Bond girl seen for a long time and with a pun name, you can tell exactly what the joke will be when her inevitable love scene comes. Just as bad in Nick Nack, arguably the least menacing henchman in movie history. If anything, he's almost played for comic relief and while Villechaize's performance is good as the world's shortest man-servant, he is not helped by the fairly plodding script. And the less said about another character with a pun name (the 'hilarious' Hai Fat), the better. The side-mission about the Solex Agitator is an ill-disguised excuse to give Bond something to blow up in the end in the absence of a nuclear facility or volcano base. And the ugly inclusion of some frankly laughable martial arts is a terrible mistake - it's bad enough to ask us to believe that Bond is a black-belt in such fighting styles but that the ever-present Hip and his two schoolgirl nieces can take on an entire dojo by themselves? But by far and away, the worst decision Hamilton ever made in his career was to bring back Sheriff J.W. Pepper from Live And Let Die - why the hell is he in Thailand and who thought that his red-necked form of prejudice would be funny in a film like this? It almost feels insulting that anyone thought such childish antics would be funny - even that legendary corkscrew jump is almost ruined by the ridiculous sound of a slide-whistle. There are enough moments to suggest that there is a good movie in here somewhere but The Man With The Golden Gun ultimately shoots itself in the foot. 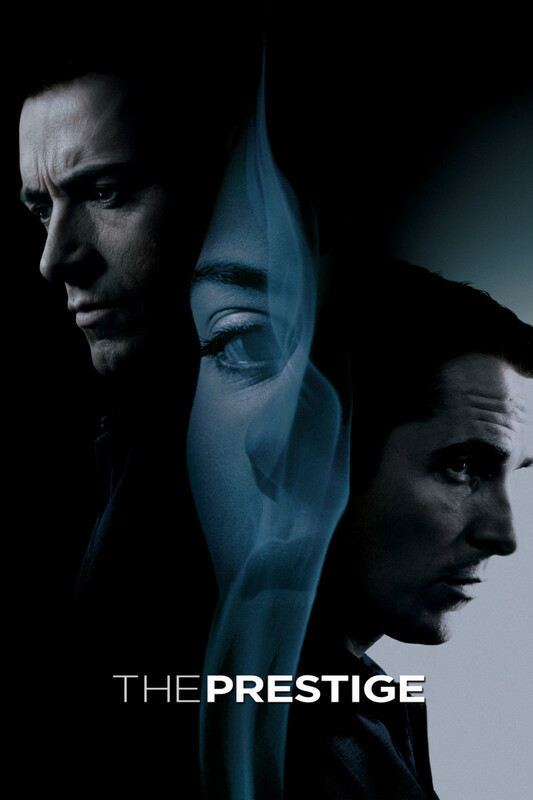 It's too light to be thrilling, too ill-thought out to work as a movie and wastes one of Lee's best performances as Bond's nemesis. It should be considered a step back from Moore's debut in the role but it's not as bad as Moore would get. The next Bond film - the underrated The Spy Who Loved Me - is much better than this, as are the Connery-era efforts Goldfinger and From Russia With Love. More modern efforts include the brilliant Skyfall and Spectre, both of which star Daniel Craig as the most muscular Bond yet and suggest that there's still plenty of life left in the old dog. 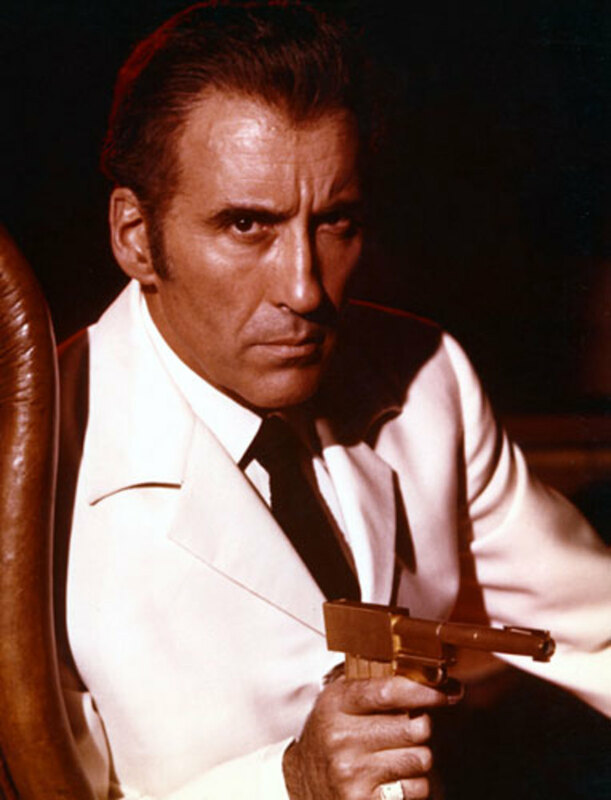 Of course, Christopher Lee made a long and successful career playing bad guys and the fact that Scaramanga is considered one of his best to testament to his performance in this film. Other highlights include the deranged cult leader Lord Summerisle in The Wicker Man, the evil wizard Saruman in both of Peter Jackson's Middle-Earth trilogies and who could forget his defining role as Dracula in 1958, a performance that would lead to a life-long association with the role.